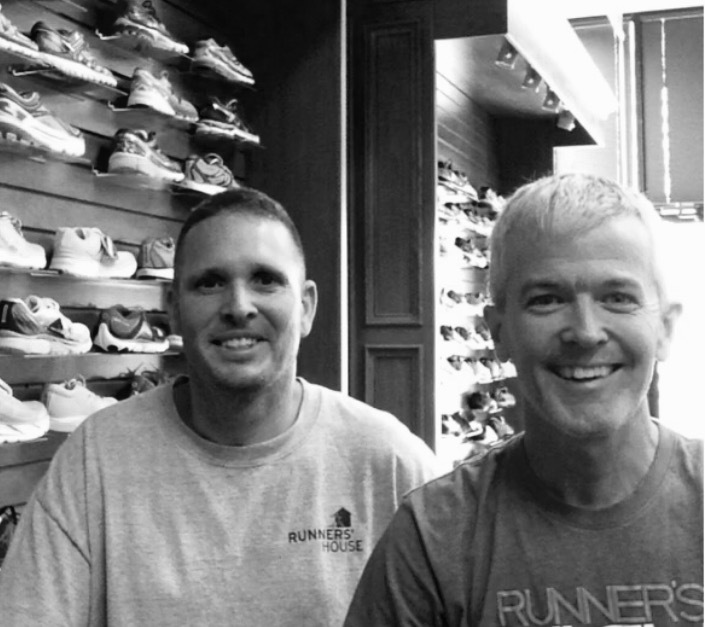 Owners Jason and Russ believe in the mental and physical benefits of running and walking our roads and trails. Brothers-in-law, we live locally and are present in the store. 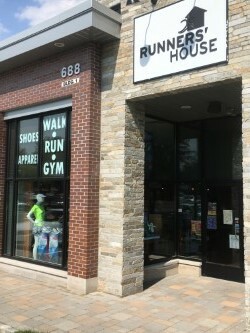 Our shop name, Runners' House, came from our wanting it to feel like a home. 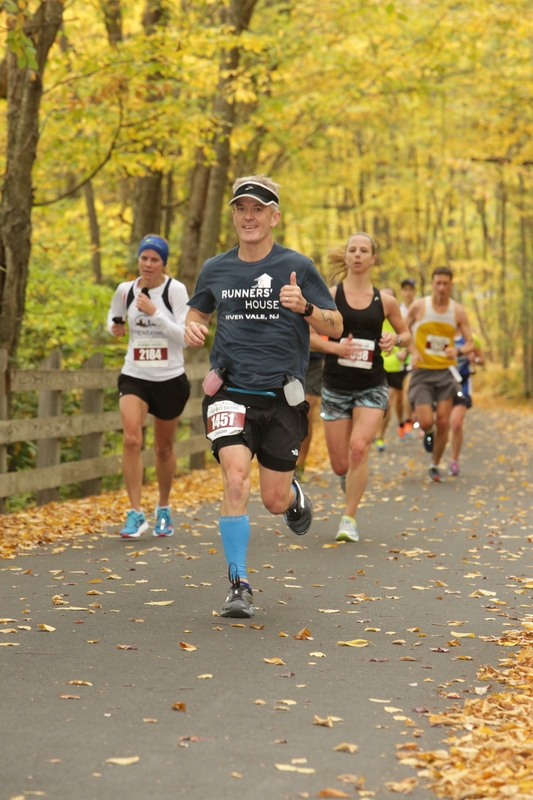 We often host social runs and other educational events--just sign up for the emails if you are interested in future events. 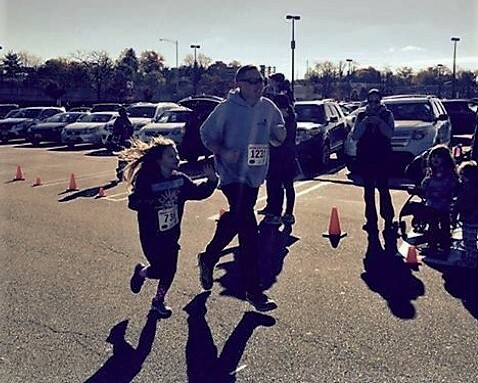 Though we are certified running coaches, we have learned that more of our customers enjoy walking for fitness. There's nothing better than a comfortable running shoe for a long walk. They are supportive yet lightweight. They breathe and flex at the toe (we walk heel to toe). Our customers are people who want to keep moving, and we help them to do that with our knowledge base, and with the products from our great vendors, and sometimes with the support of our sports-medicine colleagues. We love our work in the shop--meeting new people and helping them navigate choices to find the products and information they need. We want you to be comfortable when you visit us and to have a nice experience. We especially love it when people come back for another pair of shoes. 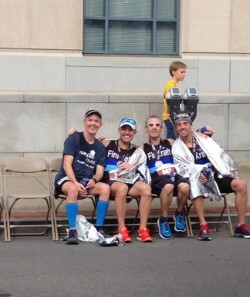 They tell us about their first half-marathon, or that they marched their other pair flat chasing the dog, or how they joined a new cardio class. In a way, shoes that are worn out show that life has been lived. That's good. We can always help you with another pair. It's about how we help each other to keep moving forward. Whether you are running, walking, or cross-training, new or experienced, track or cross-country, we'll help you put your best foot forward. We appreciate being part of your community, and we hope to see you soon! 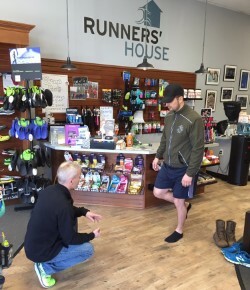 Some of the top brands we carry: New Balance, Brooks, Asics, Saucony, Altra, Hoka One One, Salomon, Mizuno, Newton, Oofos, Superfeet, Currex, Balega, CEP, Feetures, Moving Comfort, Garmin, OS1st, ProTec, Nathan, SPIbelt, Amphipod, Strassburg Sock, The Stick, Theraband, Sweaty Bands, Tifosi, Nuun, GU, PowerBar, Clif, Hammer, Honey Stinger, Jelly Belly, Body Glide, 2Toms, Performance Health.